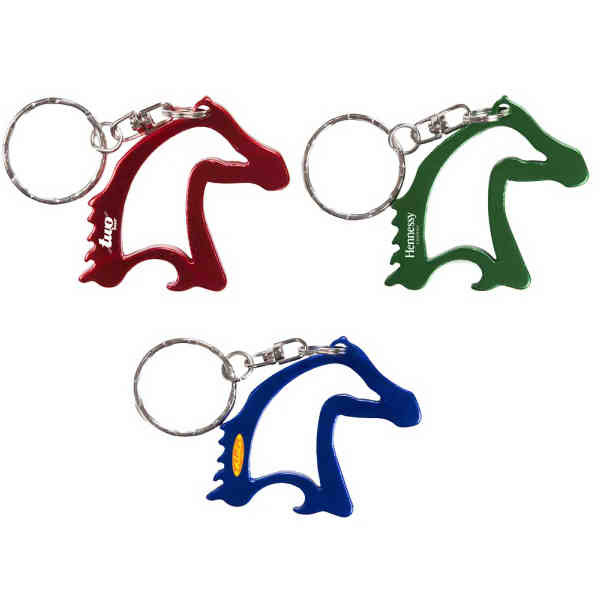 Rush Service : 1 business days - An aluminum metal horse head key chain bottle opener. For permanent imprint, this item is laser engraved. 24hr production not available for direct imprinting. Size: 1 1/2 " x 2 "